This week it is challenging to focus on just one “Tech Activity” in the Primary School! Here’s what comes to mind when I’m in and out of the classrooms - Joann Brew has her 5th grade math classes creating iMovies to show a deep understanding of division and ratios - Brian Kaplan is moving his 4th grade science classes ahead by encouraging participation in the 1st Annual World Science Day - Carlos Zerzan is using Voki avatars to let his Spanish students practice their oral fluency - Lauren Murphy is using Pizza Fractions: Beginning with simple fractions to engage our young 3rd grade mathmeticians! Our second graders placed in the forefront during World Math Day -- and Meade Guignon has her 1st grade readers using the SpellBoard app with individual log-ins to work on dolch site words - Kelly Steers has her math classes utilizing Khan Academy...and our Senior friends are having a great time exploring interactive Bob Books on their iPad centers! Has technology changed our classrooms? Yes! The teaching teams have been able to tap into student interest and introduce or reinforce their lessons through hands-on, relevant apps and websites. We are adapting our teaching methods including appropriate project-based learning - and modeling “life-long learning” for all our students. Looking ahead to even deeper technology integration next year, we are working closely with our Middle School teachers to find out more about what is working so well - and what pitfalls have already been encountered during this remarkable year. In the true spirit of community, we will be visiting other classrooms and watching first hand how other teachers and students are using iPads, laptops, digital cameras and interactive projectors to Educate. Engage. Empower. our amazing students. 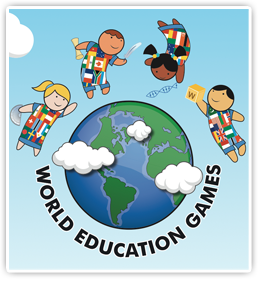 In closing, I have to celebrate another year of participation in the World Education Games. Our students in grades 1-5 have been engaged in World Spelling Day, World Math Day and World Science Day. Congratulations to all the students and teachers who supported this global challenge to unite the world in learning! Good post An interesting discussion is worth a comment as in this age group children learn quickly and as they grow older they start exploring. Very interesting details you have mentioned, appreciate it for putting up.I must say that it is a superb post. Really we are impressed out of this post…. This really is a great idea, it will actually improve the educational system. Thank you for sharing your royal essay and point of view and hope you will continue writing.